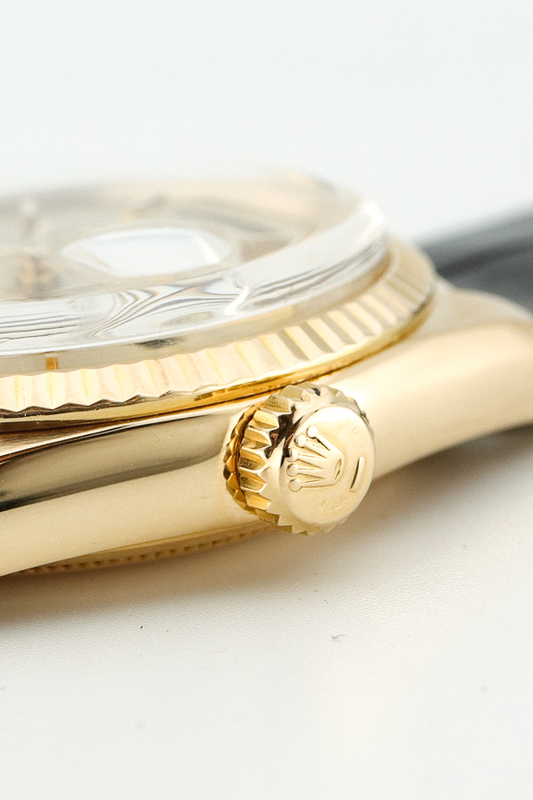 From Ronald Reagan to Bill Clinton nearly every U.S. president since 1956 has owned a Rolex President Day-Date. This is a impressive list of owners. 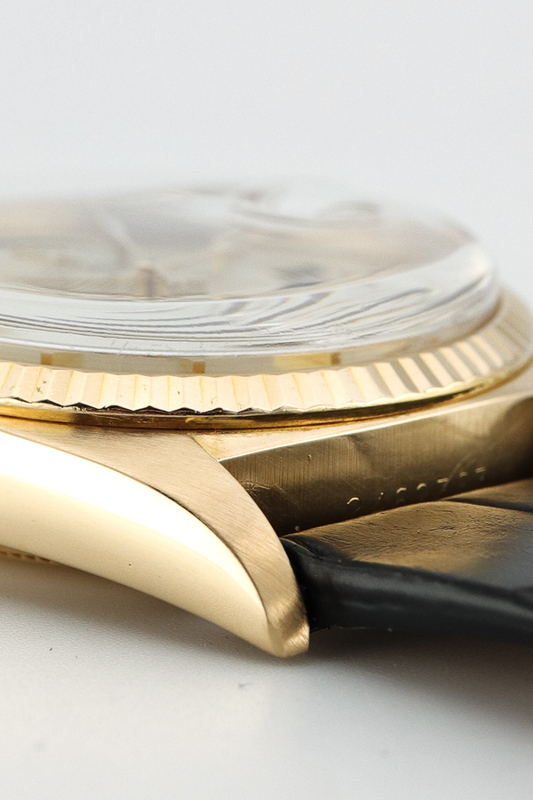 It is no surprise that the vintage reference 1803 is highly collectable. 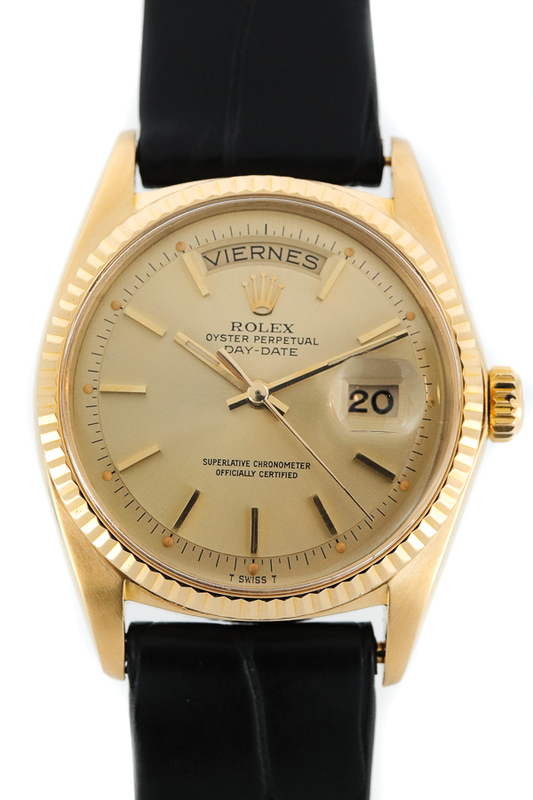 We have this beautiful Rolex Day-Date in 18K gold with a pie-pan dial and pumkin dots in our collection. 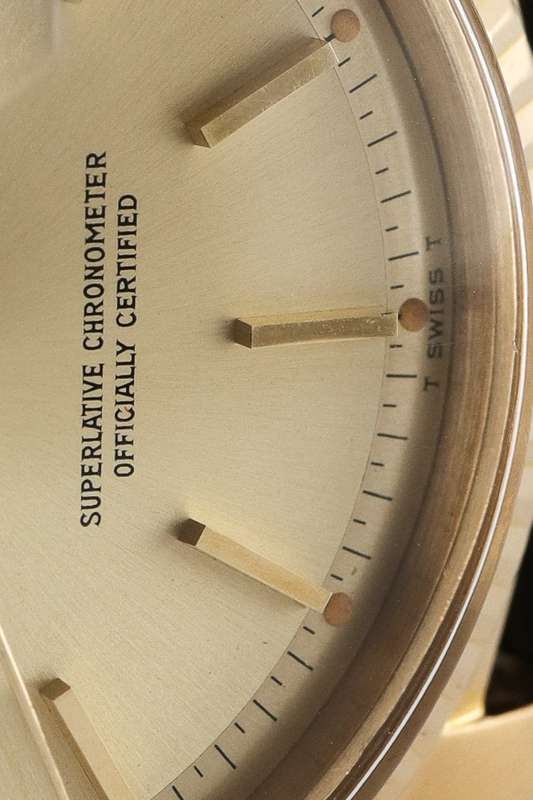 This Rolex Day-Date is from 1968. This is also the year that Kennedy announces its candidacy for the presidency. 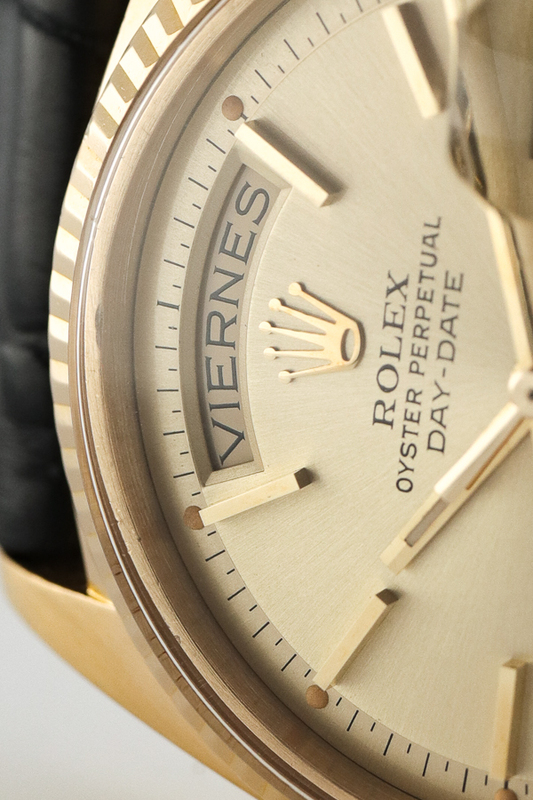 We put this Rolex Day-Date on a vintage leather strap. These straps are exclusively made for Amsterdam Watch Company in Italy. The Rolex Day-Date was the first watch with on the dial a day aperture and at three o clock a date display complete with the classic Rolex cyclops. The dots in this watch are coloured in yellow/orange so called “pumpkin dots”. 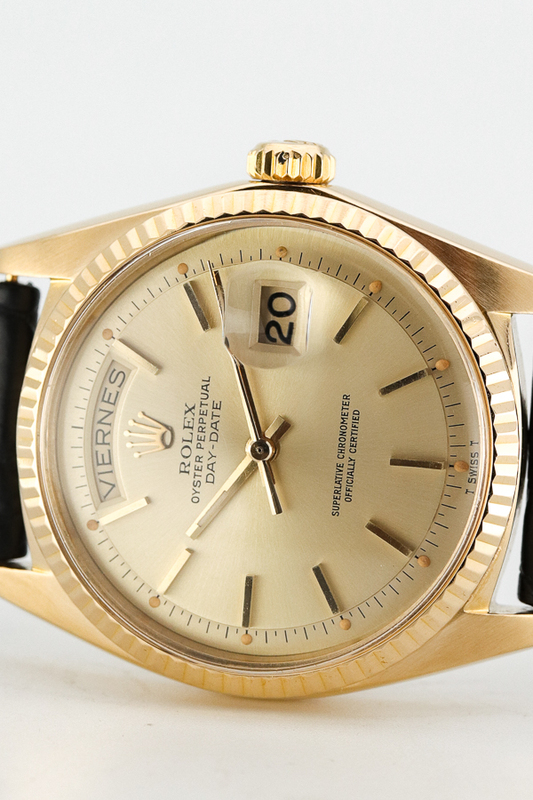 Get your chance to buy yourself this 1968 Rolex Day-Date. It will make you smile forever….it makes you feel like a president…!! Tags: Automaat, 36mm, 18k geelgoud. AWCo verkoopt premium vintage en moderne horloges van o.a. Rolex, Omega, Patek Philippe etc. Ook zijn wij dealer van Christiaan van de Klaauw en Van der Gang. Wij hebben momenteel geen openstaande vacatures.